I always kinda figured that wreaths are more of a Fall/Winter thing. Probably because they are much more common then. 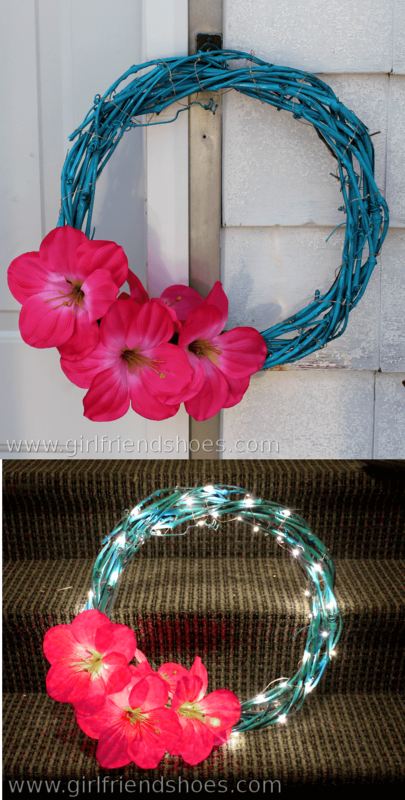 I decided to put my infatuation with fairy LED lights to use in a Summer wreath. 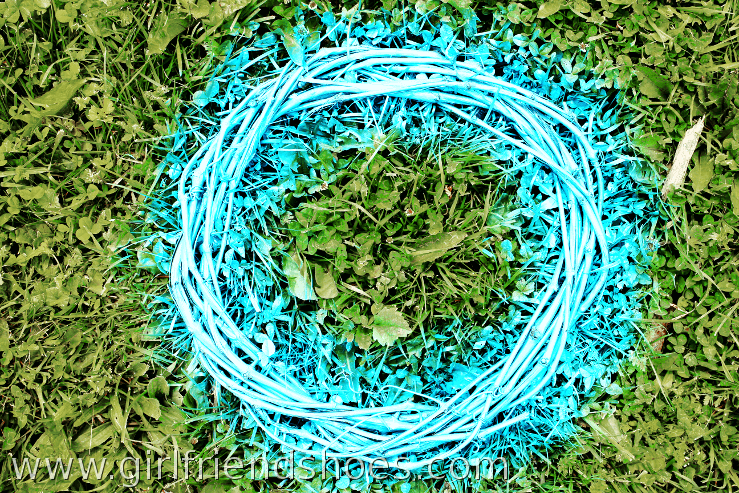 First, I spray painted a twig wreath. Brown just isn’t my thing anyway and in the Summer I love bright colors. Then I wrapped copper string fairy LED lights around the wreath and secured some bright pink flowers that I bought at Michael’s with zip ties. I also put up some twinkling LED lights up around the canopy of a deck swing and it looks adorable at night. I’d decorate everything with fairy lights if I could. Like bonfires I just can’t look away and find them mesmerizing.